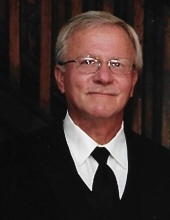 Age 68, of Mount Oliver, on Saturday, April 13, 2019, surrounded by family, lost his courageous battle to cancer. Beloved husband of 44 years to Constance R. Tomko; devoted father to Tina (Mark Speicher) Tomko and Jennifer (Steven) Barber; loving pap pap of Aaliyah, Samantha, Mason and Dylan; son of the late Joseph and Marian Tomko; dear brother of Marie (John) Acquafondata, Constance Tomko, Christine (Max) Blumentritt, Susan (Robert) Samogala, Debra (James) Engelsiepen and Carol Ann (James) Gogal. Also survived by many cousins, nieces, nephews and friends. Joe proudly served his country during Vietnam in the United States Navy. He was a hard worker both on the railroad and at home. Joe enjoyed life by going to the gym, camping, fishing, but most of all spending time with family and friends. Visitation will be held on Tuesday, April 16, 2019 from 1 to 8 pm & Wednesday, April 17, 2019 from 10 am to 12 pm at the Jefferson Memorial Funeral Home, Inc., 301 Curry Hollow Rd, Pleasant Hills. A Blessing Service will be held on Wednesday, April 17, 2019 at 12 pm in the funeral home's chapel. In lieu of flowers, please consider a donation in Joe's honor to the American Cancer Society at www.cancer.org. Online condolences may be left at www.jeffersonmemorial.biz. To send flowers or a remembrance gift to the family of Joseph P. Tomko, please visit our Tribute Store. "Email Address" would like to share the life celebration of Joseph P. Tomko. Click on the "link" to go to share a favorite memory or leave a condolence message for the family.